Lobbying is currently not regulated in Spain, and despite the entry into force of the new access to information law, it is still almost impossible for the public to find out who is influencing which decision-makers, with what means, and to what effect. This is despite the eruption of new political parties, such as Podemos and Ciudadanos, which have helped to introduce into the political agenda issues of conflicts of interest caused by unregulated lobbying and the revolving door phenomenon. The lack of regulation and transparency around lobbying has also been highlighted by civil society organisations, such as the Transparency International in their report “An institutional evaluation of lobbying in Spain: Analysis and Proposals”. In the past legislature (2011-2015) some initiatives were proposed to regulate lobbying in Spain; the Government mentioned an intention to create an obligatory register of lobbyists - to cover only the upper and lower houses of Parliament, and several proposals were presented to parliament by different parties. Despite lobbying regulation rising through public and political debate, no concrete regulatory proposals have yet been adopted. On June 26, Spain held its second general election in less than a year and Spanish political parties are negotiating to form a coalition government. Most of the political Parties included the regulation of lobbying in their manifestos as part of their general election campaigns; however no concrete measures were specified. In the last few years, corruption scandals which have monopolized the front pages of newspapers daily, has led citizens to actively demand greater transparency in decision-making processes. Most political parties included references and proposals to lobbying regulation in their election programs. At the subnational level, the implementation of Spain’s transparency law has led to a proliferation of local transparency laws which include lobbying regulation. Executive Branch should be included: Lobbyists target both legislative and executive branches and in Spain most laws adopted are presented by the government. It is important not to forget that lobbying can also serve to propose changes to policy or to prevent legislation from being drafted. Clear definitions needed: It is important to define who will be obliged to register and what information they will be required to publish. At minimum, the names of lobbyists, the specific interests they represent and the budget employed on lobbying activities should be published. 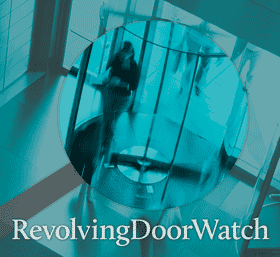 Proactive transparency: Public officials should proactively publish their upcoming agenda of meetings and also a record of the meetings held with lobbyists. They should also publish position papers submitted by lobbyists during ongoing decision-making processes. Access Info will monitor the Spanish government's progress in the area of lobbying transparency and will work with ALTER EU to campaign for a high-quality system of mandatory lobby transparency at both national and EU level. Recently, there have been notable steps in the efforts to regulate lobbying activities in Spain. On the one hand, there is an anticorruption law proposal from the Ciudadanos Party that includes lobbying regulation provisions and is now in the Parliament ready for a first plenary discussion. On the other hand, the Spanish Parliament itself has also decided to open its Rules of Procedure and the Popular Party has proposed an amendment to create a lobby register for the first time. As part of the ongoing efforts to improve both reform processes,Access Info Europe and Transparency International Spain recently called upon Spanish deputies to guarantee that the parliament’s new lobby regulation rules meet international standards on transparency and accountability in decision-making processes. The two organisations welcomed the renewed debate on the regulation of lobbying activities, initiated by the proposal for reform of the Spanish Parliament’s rules of procedure by the Popular Party. They stress however, that the current text is very limited, far from meeting international standards, and does not meet minimum standards on transparency and lobby integrity, as reflected in other laws such as France and the EU. “We call for lobby regulation in Spain to guarantee access to information that is essential for knowing how decisions are taken. The rules should establish clearly that the proposed lobby register as well as the agendas of elected representatives be publically available” stated Alba Gutiérrez campaign coordinator at Access Info. “There exists a significant public interest in ensuring transparency and lobby integrity. So that it is not a lost opportunity, it is fundamental that the concept of what and who does lobby and the information declared in order to register is extended, and that the supervision body is independent,” added Jesús Lizcano Álvarez, President of Transparency International Spain. Define lobbying in a clear and unequivocal way, as an action that implies any kind of direct or indirect communication with a public official that is made, managed or instructed with the aim of influencing decisions related to matters of a public nature. Guarantee that information in the register is detailed and accessible, and that it allows therefore for public and civil society scrutiny. Full publication of the work diaries of public officials with decision-making responsibility, with information on meetings held including shared documents. Create an independent oversight mechanism that has the mandate and sufficient resources to oversee the compliance with obligations. The current proposal – that the Speakers of the House and Secretariat General hold oversight powers - does not meet these requirements. Establish sanctions for breaking the rules for both lobbyists and public officials. Both organisations expressed concern that this particular proposal for lobby regulation, that only covers the Parliament, limits the potential reach of such a mechanism. Spanish political parties are therefore called upon to advance the lobby regulation rules for the executive branch, by considering a common or connected register between the parliament and government. Update by Daniel Amoedo (TI Spain) and Alba Gutierrez (Access Info), first published here in Spanish. Like with Brussels, the exact number of lobbyists trying to influence political decision-making in Berlin is unknown. Often the number of 5,000 is cited, but this is merely an educated guess. One can immediately figure from this fact that there is obviously no effective lobby transparency regime in place, neither on the federal nor on the state level. Although Germany was one of the first countries to introduce an early version of a transparency register in 1972, this system has not been improved since and is just not up to the realities of lobbying in the 21st century as the Group of States against Corruption (GRECO) found in a recent report. Germany is in desperate need of a mandatory lobby register which should include corporate in-house lobbyists as well as lobby consultancies and law firms that are involved in lobbying activities. The current system excludes all those lobby actors from registration and even for business associations, trade unions, and NGOs registration is essentially voluntary. But those are not the only shortcomings of the lobby list, which is administered by the parliament: Getting up to five access badges for the parliament is supposed to be an incentive for associations to register, but it is also possible get access badges if one of the parliamentary factions supports an access badge request. The factions are neither obligated to disclose how many requests they approved nor which ones. In consequence, it is unknown which lobbyists have free access to the parliament's premises. At the moment, the conservative party is blocking advancements towards a mandatory register, but a majority in parliament, including the social democrats, is in favour of it. 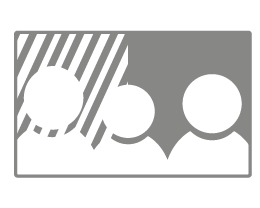 LobbyControl is currently preparing campaigning activities to push for a real break-through in this regard after the next general elections in 2017 at the latest. But transparency is not only lacking considering the activities of lobbyists. The law-making process itself is as well quite intransparent in most cases. Most of the draft laws are formulated by the government bureaucracy before they enter parliament. In most cases, the public is not informed about which lobby groups were consulted during the legislative process and whose input made it into the proposed law. In addition, the government does not have to disclose on a regular basis if they “outsourced” law-making work to law firms or other entities. This has to change. Law firms are clearly not in a position to draft laws for the common good. A well-designed lobby register would include lobbying activities towards both the legislative and the executive branch. It would also help to tackle a whole range of additional problems involving money and politics like party and campaign financing and conflict of interest regulation. To know who is lobbying on what topics helps a lot to assess potential conflict of interest arising from post-employment situations or secondary jobs in the case of members of parliament. Poland is one of the few countries in the European Union that has a kind of lobbying regulation. "Regulation" because since 2005 there has been a binding Act on lobbying activities in the lawmaking process. "Kind of" because the mentioned act only partially deals with the lobbying issue. It includes a number of gaps, connects multiple subjects which are not really relating to lobbying itself, and its practical application leaves a lot to be desired. introduction of an obligation for authorities to inform about lobbyists applications within lawmaking process. documents connected with lobbying activities are published in different manner by every lobbied authority and their format is not editable, which makes usage of these data ineffective and hard to search. starting the political debate about the need for a law change by improving the lobbying act by removal of incorrect solutions. The Westminster Register of Consultant Lobbyists was formally launched in March 2015, after a number of years of delay and in the wake of a very acrimonious Parliamentary passage of the enabling legislation. The new register fails all the key tests of any meaningful lobbying disclosure system – anyone interested cannot tell who is lobbying on which issues, and how much resources they are devoting to their efforts to influence legislation and policy. Instead of being a small element of a comprehensive lobbying disclosure and ethics system, the Register of Consultant Lobbyists only covers approximately 10 per cent of those lobbying in the UK – lobbying consultants representing multiple clients – and then only their direct contacts with government ministers and very senior officials – everything else is excluded. In-house lobbying is also left out of this register, as is financial disclosure – reversing these exclusions must be the key aims of the necessary campaign to reform this terrible piece of legislation during the next parliamentary session. While the register is very poor there may be some information disclosed that campaigners can use to push for more disclosure – those involved in Alliance for Lobbying Transparency in the UKwill monitor this disclosures and try to attract media attention and build pressure for reform. If the Conservative party is elected with a parliamentary majority, or can form a minority government, then the prospects for progress on this topic are very limited. If Labour are in power there may well be some possibilities for encouraging the reform of the Transparency of Lobbying, Non-Party Campaigning and Trade Union Administration Act (2014). This may be related to whether the Scottish National Party have any influence over the legislative agenda of the next UK government (see Scotland entry). The Green Party and other small parties may well add parliamentary pressure to properly address the need for mandatory lobbying disclosure. In October of last year, the Scottish Government introduced the Lobbying (Scotland) Bill in the Scottish Parliament - two years after the proposal for a national lobbying register and lobbying code of conduct was initially lodged. As the Scottish Parliament prepares to enter the final stage of debate on the Bill in March 2016, there continues to be some debate surrounding potential loopholes and other perceived issues. Upon its introduction, the Lobbying (Scotland) Bill was only set to regulate oral, face-to-face communication as lobbying activity. Since then, the Bill has been amended to include communication which “is made using equipment which is intended to enable an individual making a communication and an individual receiving that communication to see and hear each other while that communication is being made”. In others words, lobbyists using the video chat features (but not merely the audio features) of programs such as Skype, Facetime and Google Hangouts would be required to register their activity. Several Members of Scottish Parliament (MSPs) and Scottish civil society organization have pointed out the loopholes created by failing to recognize modern forms of lobbying; lobbyists wishing to conceal their activity could merely choose an alternative mode of communication. The Scottish Alliance for Lobbying Transparency (SALT), for example, has suggested that telephones calls and emails should also trigger registration. A poll conducted by YouGov in December 2015 found public support on this issue: 87% of respondents agreed that further modes of communication should be covered by the Bill. Groups have similarly expressed concern regarding the limited definition of lobbying when it comes to who is being lobbied. Initially, the Bill only covered communication made with MSPs, members of the Scottish Government and junior Scottish Ministers. It has since been expanded to include special advisers, but some argue this is not enough to provide the full picture of lobbying activity. SALT has suggested lobbying communications with civil servants should also trigger registration as those who carry out policy are often equally as influential as ministers when it comes to policy implementation. Unlike many existing lobbying registers around the world, Scotland’s proposed lobbying register does not currently require lobbyists to disclose the amount of money spent on lobbying activity. Critics of the Bill argue this conceals disproportionate lobbying power and makes it difficult to identify the degree of influence a lobbying organization truly has: a lobbyist spending ₤200 annually on lobbying activity may have much less influence over policy decisions than one spending ₤20,000 annually. 92% of those polled by YouGov supported financial disclosure of lobbying expenditure. MSPs and civil society groups have suggested Scotland adopt a floor threshold for lobbying registration. SALT has suggested any organization spending less than ₤2,000 on lobbying activity in a single year should not be required to register. A recent survey of international lobbying registers and small organizations conducted through the University of Stirling suggests lack of flexibility and failure to establish a reasonable threshold could deter some small organizations from exercising their democratic right to participate in lobbying. To stay updated with the Lobbying (Scotland) Bill, please visit www.scottish.parliament.uk. Today (March 2016) in France, the only existing instruments to control lobbying activities by private interests groups with decision makers are the National Assembly and Senate voluntary lobby registers. Those registers, besides being only used on a voluntary basis, are totally independent of each other, that is, no harmonization efforts have been made between the two chambers, making them totally ineffective. The draft bill to fight against corruption and for the transparency of economic life, submitted by the Minister of finance Michel Sapin, is to be presented to the Council of Ministers on 23 March. This vast undertaking tackles issues of corruption within businesses, the creation of a status for whistle-blowers and the control of lobbying activities. It finally deals with the issue of lobby influence on public decision making, which has been too often set aside. Therefore, this draft bill is the first substantial initiative with regard to lobby control. The proposal recognises, by being mandatory, that voluntary registers for lobbyists are utterly inefficient. One of the objectives of this law is to control lobbyist activities with the executive (ministers, cabinets, high level civil servants, the Elysée), by means of a mandatory register and good practice rules to respect, upon pain of formal notices and fines. The High authority for public life transparency (HATVP) will be in charge of the application of such rules. Lobbyists will have to make the identity of their clients public as soon as they get in contact with a policy maker. They will have to refrain from offering significant gifts, reselling government documents, organising conferences with paid speeches inside administrative buildings, encouraging decision-makers to break their ethical codes etc. On the other hand, requirements for decision-makers are considerably lighter: they will only be asked to refrain from meeting non-registered lobbyists, except for in cases of “emergencies”. It is also worth noting that the presidency (Elysée) is exempt from those rules. Similarly, members of the Constitutional and State Councils, despite their great influence, escape those obligations. One of the big weaknesses of the law is the absence of mandatory transparency on the amount of money spent on lobbying activities, which runs counter to National Assembly, Senate and Brussels rules. This lack of financial transparency prevents the possibility to shed light on inequalities of means between public and private interest defenders. In a law against corruption, it is all the more serious as there is just a short step between influence and corruption, as many scandals have shown. Considering the current difficulties faced in condemning corruption, the HATVP would be able to send a formal notice to the lobbyists suspected of rules violations and impose fines of up to €30,000. Nevertheless, such a fine is ridiculously weak when one knows the financial issues at stake in the search for influence, and would not dissuade illicit lobbying practices. As for state officials, sanctions are limited to the public disclosure of the infringement, and in case of serious allegations, the HATVP could prosecute. Unfortunately, we know too well the inefficiency of trials against policy-makers in cases of corruption, diversion of public money etc. Hence, we can legitimately consider those sanctions as too weak, and that responsibility of decision-makers is not considered sufficiently in this draft law. Another important missing element in the draft bill is the traceability of people participating in hearings, consultations and sending policy contributions. No trace of exchanges or meetings would be available, which prevent any analysis of private influence on this or that decision-making process. This latter point is decisive, without which this law can only be a timid start towards real public life transparency. Disclosure of the amount of money spent on lobby activities. 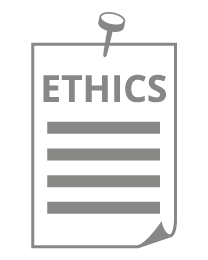 Prevention of conflict of interests: incompatibility of a, possibly-salaried, business management or consultancy job with an elected office. Prohibition of access to administrative buildings to any lobbyist who received an official notice of infringement. Unfortunately, none are currently included in Sapin's draft proposal. The French Parliament passes the Sapin II law: a step forward? The Sapin II law on economic transparency was voted by the French National Assembly on Tuesday 8 November 2016. The law contains certain steps forward regarding the regulation of lobbying: It provides for the establishment of a mandatory register for those representing interests before legislative bodies and the government; the High Authority for public transparency has evaluation and sanction powers in the event that lobbyists break the law. Breaking the rules is punishable by up to a year in prison and a fine of 15,000 euros. But the law is missing several elements, and far from being sufficient, the laws failings almost outshine its positives. Firstly the definition of interest representative poses a problem. 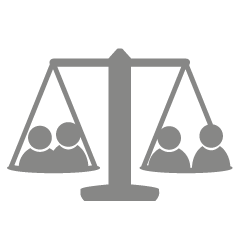 In the text of the law, professional employers organisations will not be considered as lobbies, while associations defending human rights associations will be. This terminological difficulty creates a major flaw in lobby regulation, as some employer organisations, who are often listened to during the elaboration of public policy, outside of the meetings dedicated to social dialogue, will be able to convey their positions in complete opacity. Furthermore, the transparency requirements of the register make it clear that they are very limited. For example, it is not required that lobbyists publish their positions or the arguments the used towards decision-makers or the interventions made which influence the drafting of rules. Additionally, the proposed register only covers the past activities of lobbyists (those of the preceding year), and not those in progress, which does not allow citizens or civil society as a whole to react in time. Finally, the origins of the finances of lobby groups do not form part of the register’s transparency requirements, which poses a large transparency problem. The process of defining these rules is opaque, as there is no indicative calendar or overall political guidance. Particularly, the rules should provide precise and restrictive elements regarding the functioning of the parliamentary clubs: interest groups which are external to the Parliament and public relations firms should not be authorised to create or drive them. It is also worth noting that a fine of just 15,000€ is a ridiculous amount if the aim is to force lobbying firms whose financial figures are in the hundreds of thousands of euros, and even millions, to respect the law. For citizens to be able to know the arguments and information sent by lobbies to their representatives and other decision-makers, and for the influence circles to come out of the shadows, it is imperative that citizens have access to this information, know which dossiers have been the object of third-party interventions, the budgets at their disposal, which decision-makers they meet and to say what. However the Sapin II law, as voted, still does not allow for real transparency in the activities of interest groups. In addition to these limitations, nothing guarantees that the Sapin II law will lead to the implementation of the few steps forward that it seeks to introduce. Effectively, the application of the law requires relevant implementing decrees, for which the drafting process will take place after the May 2017 presidential elections. The political uncertainty allows for the prediction that the vote will not lead to implementation, and that the Sapin II law will remain just words on a page. The need for lobbying regulation is therefore far from being resolved in France, which is why we must keep paying attention to what happens to Sapin II so that the meagre improvements that it represents are not widdled down to nothing. It is also necessary so that the debate continues in order that the system of public decision-making works in favour of the public interest, and not just in favour of industrial and financial lobbies. 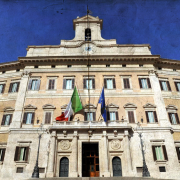 Italy: Could the Italian Parliament finally implement lobbying regulation? More than 50 bills to regulate lobbying activities have been introduced in the Italian Parliament since 1948. Because none of these bills have been approved, including 16 draft laws proposed by the current Parliament, Italy still lacks any specific lobbying regulation. As a result, lobbying remains opaque and inaccessible. We don’t know who is influencing public decision-makers and what laws and initiatives may have been influenced. It’s not a surprise that Italy is the third worst country out of 19 European countries analysed in a 2015 Transparency International report at regulating the ‘hidden influence' of lobbyists in government. 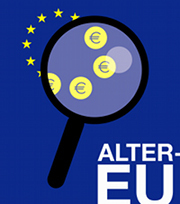 As an anti-corruption and transparency campaigning organisation, Riparte Il Futuro has partnered with ALTER-EU to push for lobbying transparency in Italy. As a starting point, we are asking that the Italian Parliament finally introduce and implement a compulsory and comprehensive lobby register with accompanying sanctions for those lobbyists who do not register. 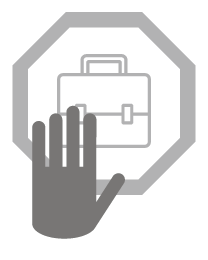 A lobby registry would signal a commitment by Parliament to lobbying transparency and a serve as a catalyst for other necessary transparency reforms, such as introducing requirements for MPs to disclose all their meetings with stakeholders, and make the entire decision-making process transparent, including when a law is being drafted and when it passes through the parliamentary commissions. While more than 50 attempts at the national level have been unsuccessful up to now, some Italian regions including Tuscany, Abruzzo, and Molise have taken the initiative to create a lobby register. In early February 2016, the Region of Calabria joined these regions in establishing a register and a number of other regions including Lazio and Lombardia have expressed an interest. Although these laws have various shortcomings as they all lack a committee or body to monitor the register, they nevertheless demonstrate that many regions in Italy support lobbying transparency. While more Italian regions are adopting a lobby registry, MPs are trying to revive efforts for such legislation at the national level. Senator Luis Alberto Orellana along with Senator Lorenzo Battista (both of whom were previously part of The Five Star Movement) presented a draft bill on April 2015, which provides for the introduction of a lobby register with sanctions and a committee to monitor lobby practices. Although the Italian Senate accepted this proposal as a model bill to regulate lobbying, the bill had not been discussed in parliamentary chambers and, until recently, seemed destined to fail. Earlier this year however, Orellana decided to include his draft bill as part of an amendment to a competition bill currently being discussed in the Senate Commission for Industry, Commerce, and Tourism. After we met with Orellana’s office, a second draft of the amendment has now been formulated to include our recommendation that MPs be obliged to publish details of meetings with lobbyists. A vote is expected in the coming weeks and reports suggest more modifications to strengthen the bill may be made prior to the vote. A positive vote would ensure that this amendment to introduce lobbying transparency can continue through the legislative process in the Senate and the House and makes it less likely that the amendment will be scraped in the future. Riparte Il Futuro along with other Italian groups such as Transparency International Italia, Open Polis, and Il Chiostro (the association for Italian lobbyists), among others, welcomes these efforts and strongly recommends that the Senate approve the aforementioned amendment. After more than 50 attempts, it’s time Parliament finally takes action. Over two years have passed since the presentation of a draft bill in the Senate to regulate lobbying in Italy. The bill is finally scheduled for discussion in the coming weeks. As part of Riparte il futuro’s campaign #OcchiAperti for lobbying transparency in Italy, we want to ensure that Parliament not only introduces a mandatory registry for all lobbyists with appropriate sanctions but ensures that politicians publish who they are meeting with. We recently published our analysis and commentary on more than 350 amendments that were presented to the bill. While 58 previous efforts to introduce similar bills have failed in the past decades, we hope that this analysis and the support we received from concerned citizens will convince the Senate to discuss and pass the bill in a timely manner. As we wait for the Senate, other Italian regional or ministerial institutions have set an example by adopting measures to ensure lobbying transparency. In September 2016, The Ministry of Economic Development (MISE) became another ministry – along with the Ministry of Agriculture – to implement a lobby registry to ensure, in their own words, that the decision-making processes within MISE are as open and transparent as possible and respond to the ever-growing need from citizens to follow the activities of the public administration. These transparency efforts may have likely been spearheaded by a recent conflict of interest scandal involving Federica Guidi, the former Minister of Economic Development. Guidi resigned in April 2016 after a wiretapped conversation allegedly revealed that she discussed changing a budget law to favour an oil project from which her partner would benefit financially. MISE’s lobby register will allow citizens the right to know which lobbying interests are represented in the MISE, who is behind these interests, and how much money they’ve received. At the regional level, the Region of Puglia in June 2016 has joined other regions including Calabria, Abruzzo, Molise, and Tuscany in introducing mandatory lobby registry. At the national level, the Italian Chamber of Deputies in April 2016 approved a protocol to establish a mandatory lobby register. While this represents a first step towards comprehensive lobby regulation in Parliament, the protocol has several limitations. The registry only applies to lobbyists who carry out their activities with members of the Chamber and not with members of other public institutions such as the Senate, the Ministries, the Regions, independent authorities, and other entities. In addition, the initiative does not have transparency obligations for deputies or an independent oversight body. More recently, at the local level the new administration in the City of Roma have expressed great interest in requiring the registration of lobbyists before they meet with public officials of the City. The need for strong transparency and lobby regulations rules in Italy is clear and has finally been acknowledged by many regions, several ministries, and even the Chamber of Deputies in Italy. We’ve waited long enough for comprehensive lobby regulation at the national level covering all lobbyists within all Italian public institutions. To begin to restore faith in the competency of Parliament in dealing with lobbying transparency, we urge the Senate not to further postpone the law but push it forward to the next stage of the parliamentary process.